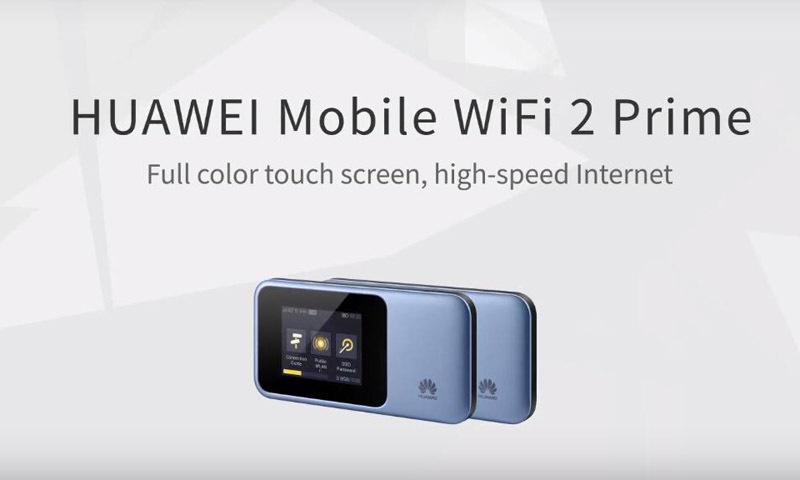 As the latest Huawei Mobile WiFi Hotspot, Huawei E5788 attracts focus worldwide. With advanced technical specification for LTE-A Pro networks, Huawei E5788 is said to be the best pocket WiFi router. But many people may not know what the features of this high-level mobile router are. Today, we will have a look at the highlights of Huawei E5788. The obvious feature of the Huawei E5788 is the 2.4 inch touch screen, where users can do almost all the setting for internet like operating a smartphone. In this way, users save much time and it makes settings easy. User can easily set and modify WiFi name and password. As a mobile pocket WiFi, the most important function is to provide wireless network coverage for the people around to access internet. 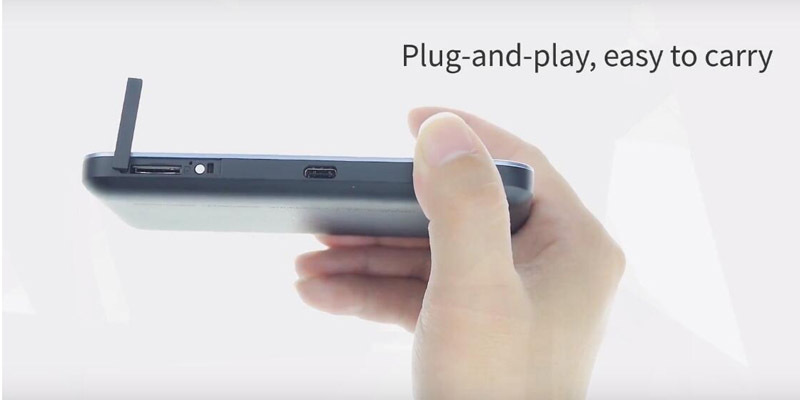 The Huawei E5788 could support maximum up to 32 wireless devices to surfing simultaneously. After optimization, huawei E5788 can provide intelligent power saving for more battery life with the dynamic tracking system. It can save 15% power consumption on same condition. As a high-level mobile router, the internet speed must be as faster as possible. 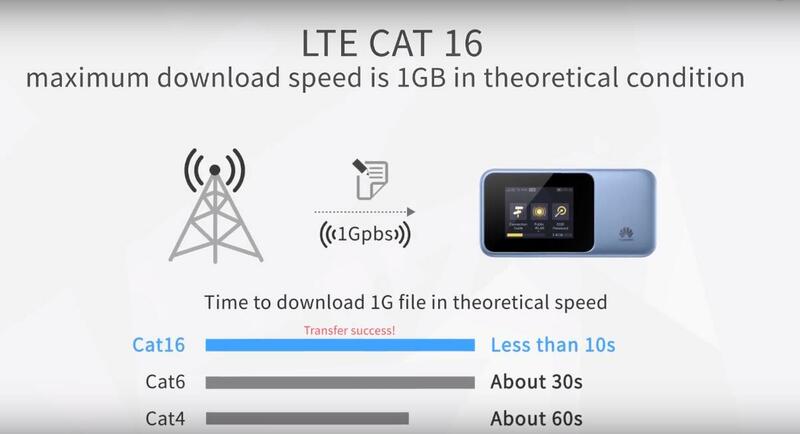 With support of LTE Cat.16, Huawei E5788 could provide up to 1Gigabit/s download speed, which is almost the triple times of that of Huawei E5787, which is a LTE cat6 mobile hotspot. So user don’t need worry about the multiple user may drag the internet speed slow. 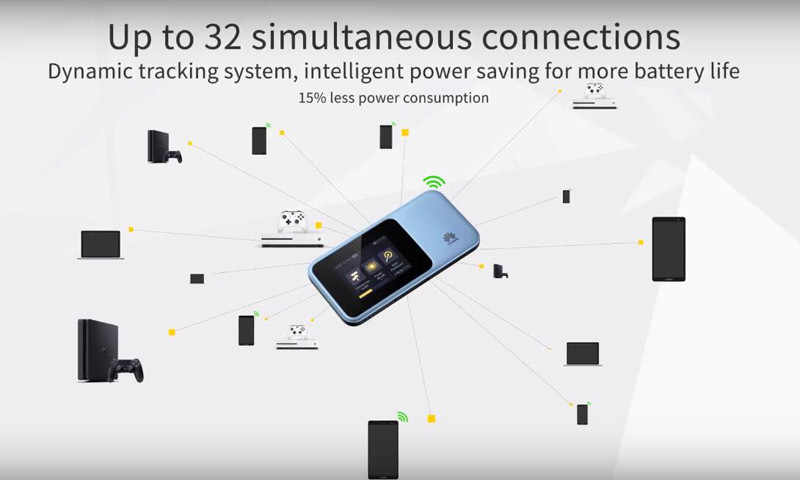 With the high speed, user can play video games at home, share internet with friends on the go, broadcast live in the outside world and enjoy in-car WiFi anytime freely. Actually, you can watch 4K HD online videos seamlessly. 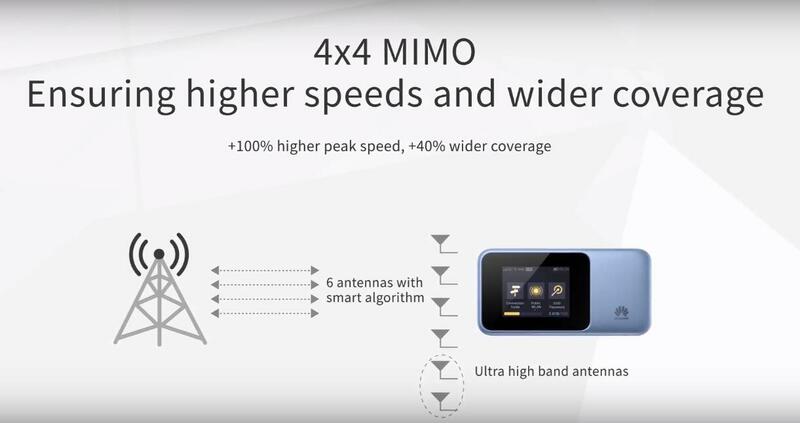 What’s more, comparing with the predecessor mobile hotspots such as Huawei E5787 or E5885, the Huawei E5788 provides +40% wider coverage with +100% higher peak speed based on the 4 x 4 MIMO technology. Some people may worry they don’t know how to use this high-level mobile router. 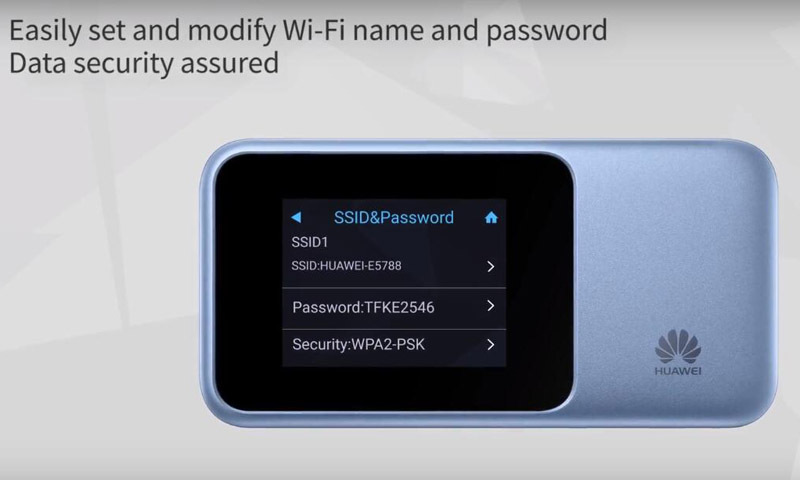 Actually, the operation is Huawei E5788 is very easy to use, you just need plug a valid SIM card into the router, it would automatically connect the WLAN networks and provide the WiFi network. You don’t need to be a professional to use this pocket WiFi. The small size makes it also easy to carry in pocket. The Huawei E5788 also provides the setting options for data usage in case of over-consumed. Users just need to setup the max data usage through the screen. 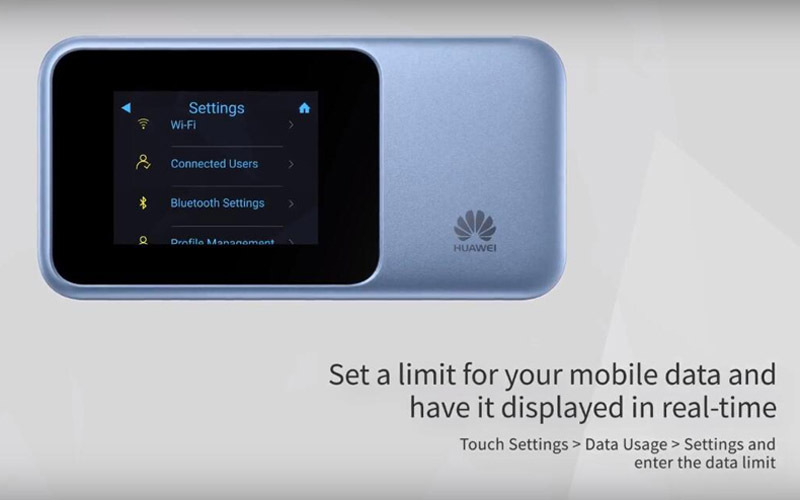 And when data usage reaches the limit, the Huawei E5788 would automatically cut off the internet connection. This would be displayed in real-time on the screen. So you don’t need worry the over-use of data. In summary, we can see the Huawei E5788 is becoming much smarter than its predecessors. With the advanced features and specs, we think Huawei E5788 would be a hot-seller in 2018.